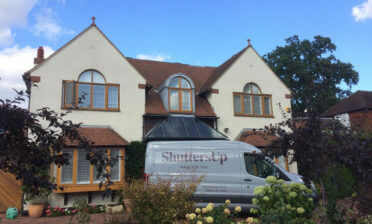 We found ourselves in the local area of Downe, Bromley to install some shutters that we had designed for our client Sophia. 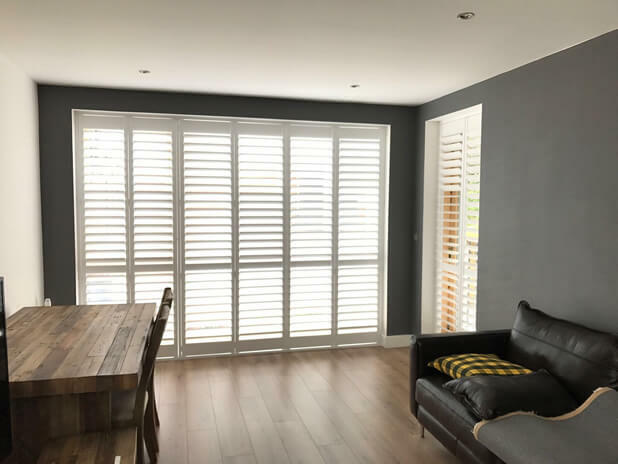 Living in a busy, built up area Sophia was keen go gain some more privacy with her new shutters, as well as transform the look of her living room area. 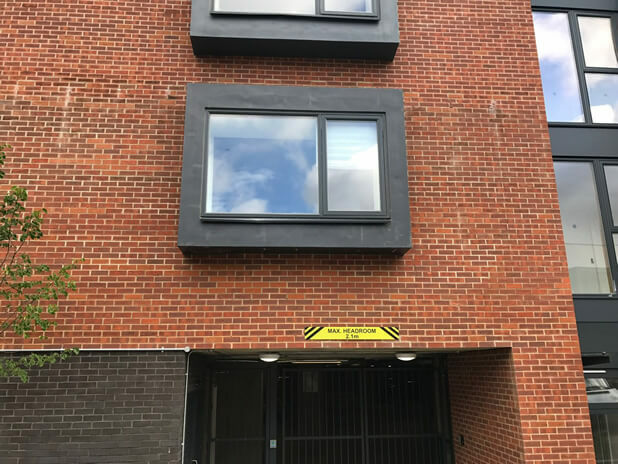 Being in a lower floor apartment the shutters will instantly provide great privacy from people on the street and other buildings, as well as looking fantastic from outside and indeed inside the property. The shutters were designed and installed for a large window, smaller window and door area accessing the balcony area. 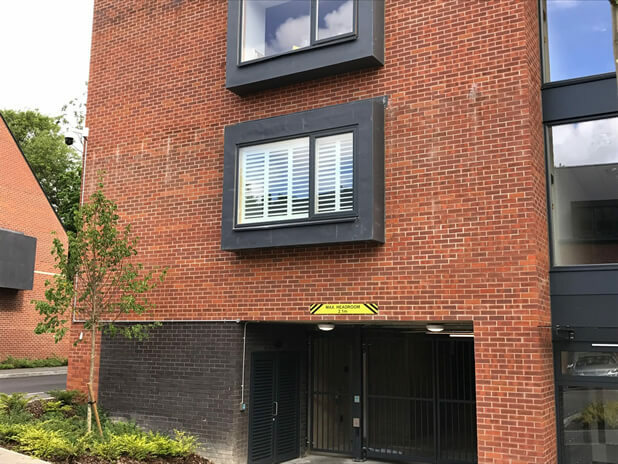 We created full height shutters with mid rail and hidden split for the large window and door, offering extra strength and adjustment without compromising on looks. For the smaller window the same, but without the need for a mid-rail due to the size, but still offering the hidden split for easy for adjustment. 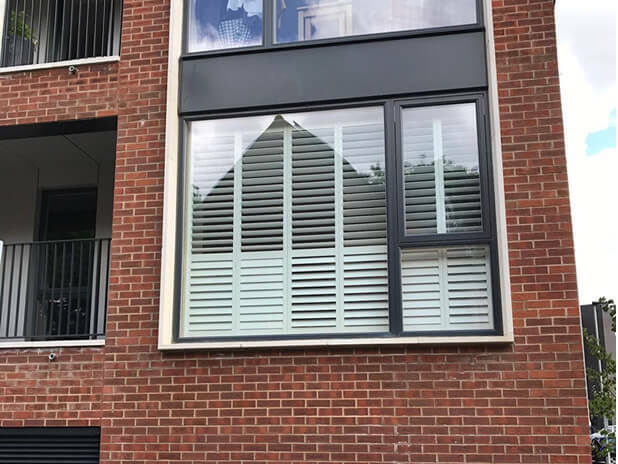 A hidden split in the shutters breaks up the louvres without the need for a visible section of wood, so that the shutters can still be adjusted separately top and bottom. 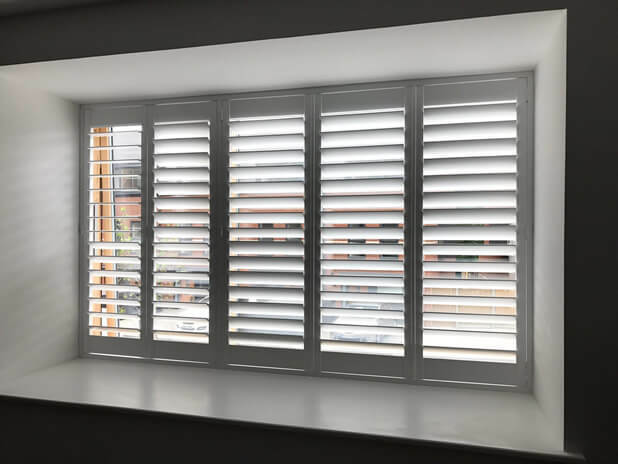 All shutters were completed in pure white with matching white hinges and feature nice thick 89mm louvres with a hidden tilt rod system. 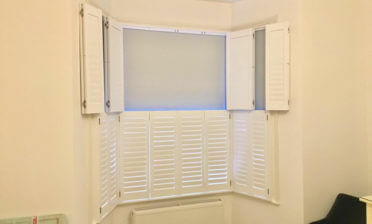 This allows for adjustment of the louvres without visible rods on the shutters, all in all adding to the modern, contemporary feel and look of the shutters. 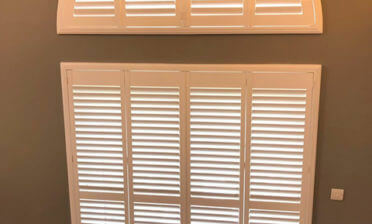 Luke carried out the installation of these bespoke shutters for another very impressed customer! 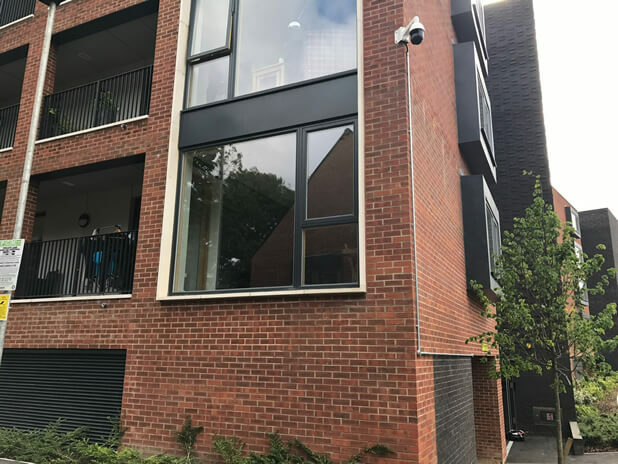 We have taken some before and after shots of the shutters from outside of the building, demonstrating the transformation visible from outside, which in our opinion also helps set the apartment apart from the others in the block!